Cerberus, a pro-human terrorist organization, created the secret Avernus Station research base for the purpose of experimenting with a Reaper virus. Although it is unknown exactly how Cerberus got its hands on the virus, it does contain traces of DNA from an unknown alien species that likely existed at least 100,000 years ago. Through the use of this virus, Cerberus engineers Reaper creatures and codenames them "Adjutants." As foes, the adjutants are deadly and terrifying. 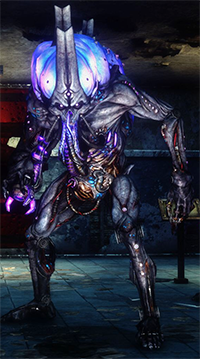 They patiently stalk their victims and ambush them at opportune moments with powerful knockdowns and biotic abilities. Perhaps the most terrifying aspect about the adjutants is their virus origin; they have the ability to infect other sentient species, turning them into new adjutants. Cerberus unleashed the adjutants on Omega in order to take control of it for strategic purposes. While everything went according to plan initially, the adjutants ended up going rogue, nearly decimating the entire population of Omega. Cerberus eventually found a way to contain them but they still pose a threat to Shepard, Nyreen and Aria. When facing against adjutants for the first time, we learn that Nyreen is absolutely terrified of them. Before Cerberus found a way to contain them, the adjutants had infected many of the Talons. 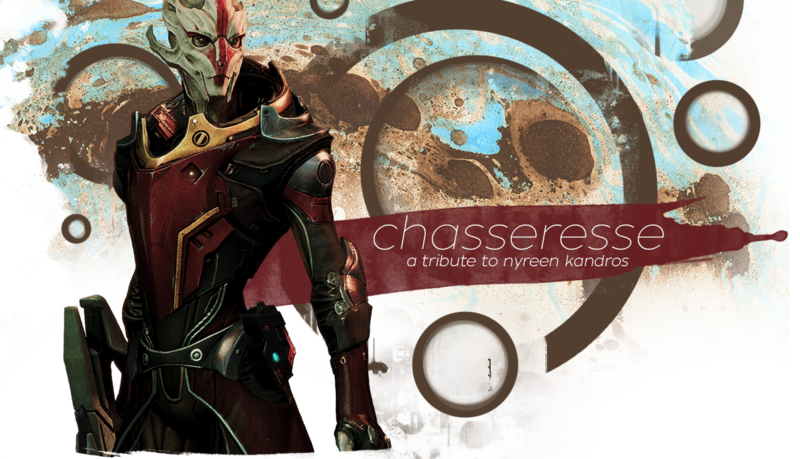 Nyreen witnessed many close friends and allies become infected. Although she likely saw many friends perish in combat during her military career, nothing would compare to seeing them transform into monsters with no recollection of who they are. To make matters worse, Nyreen was forced to kill many of these adjutants that she once considered allies. "Why can't you bring that same grit when adjutants attack? It's pathetic -- you tense up at the mere mention of those abominations--"
These experiences left a lasting impression on Nyreen. When confronting adjutants, she suffers from anxiety attacks that leave her unable to properly engage them in combat. At one point, Aria chastises Nyreen for her weakness with the intent of helping her get over it; she can't afford to freeze up every time she sees one. Eventually, Nyreen does confront her fear in order to save civilians. When Cerberus releases several adjutants in a last ditch attempt to stop Aria and Shepard from entering the Afterlife Club, Nyreen draws their fire with the intent of killing them with several explosives. Knowing that there's no hope of escape, she contains herself, the adjutants and the explosion within the shield, successfully conquering her fears and saving the lives of many.